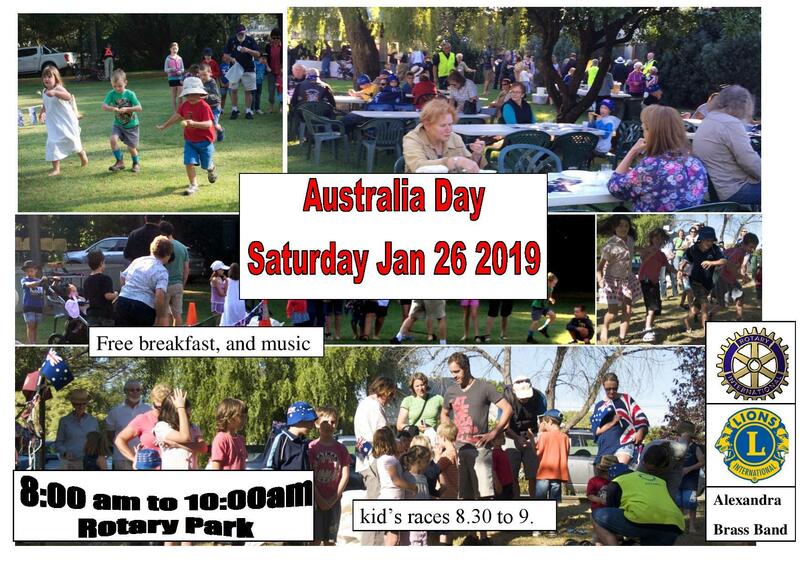 Come along to the Australia Day Celebrations, Saturday 8am to 10am Rotary Park Alexandra. Free breakfast, and music. Kid’s races 8.30 to 9.